Reel Asian is pleased to be co-presenting a programme of Filipino short works at the 28th Images Festival this Friday, April 10, 2015. The screening, entitled The Kalampag Tracking Agency, will take place at Jackman Hall and tickets are $12 ($10 for iF members, students, seniors, or the underemployed) at the door or buy online. These works, guest-programmed by Shireen Seno & Merv Espina, represent a survey of the last 30 years of experimental and alternative moving-image culture from the Philippines. Much of the work has not often been seen outside of the Philippines and so some of the visual references may not be well understood by contemporary North American audiences. Reel Asian, in conjunction with the Images Festival, has engaged curator Merv Espina with some questions to help bring greater understanding to some of the things you’ll be watching. They say it always starts with a bang. Or a series of bangs. Like the tiny explosions in your brain that rattle you to take action. It could be something simple and small, not necessarily earth-shattering. The act of capturing the fleeting moments, ideas and visions and the act of tracking them down both entail a certain slippage of forms and time, something that tends to elude us but cannot be ignored, something which we liken to kalampag, a Tagalog word that roughly translates to a ‘bang’; something of an alert, a warning that something may worsen or interrupt the journey, versus the stable engine hum of a giant system, a well-oiled machine; like the rattling of loose parts that collide while in motion. This is a collection of loose parts in motion, a series of bangs, assembled by individual strengths, and how they might play off each other in the context of a screening program…a confluence of uncanny juxtapositions and pleasant contradictions, an experience not unlike revisiting a familiar place in a new light. But before you get to where you’re going, you hit a speed bump or a pothole and you hear a loud rattling coming from your car. Sometimes you think something’s amiss; sometimes it’s the sound of it that comforts you. Can you expand on the “detective work” that you speak of about the process of collecting these films – what your starting point was, what sideroads and detours you took and ultimately, what you make of your curatorial journey? It was a lot of dead ends and happy accidents. Shireen and I saw some of these works through screenings and copies handed down from other artists across the years. Others we only heard about from friends or old catalogs. The artists from our generation were usually easier. Some artists didn’t have copies of their own works. Conversely, we were surprised other people did. Although, most of the times these were forgotten. So sometimes all it took was the right question to rattle someone’s memory which led to several branching paths. Besides asking people to go through stuff in their houses, one of the first places we started was at the Mowelfund Film Institute‘s archives and the audiovisual library of the UP Film Institute (UPFI). Mowelfund turned over their film reels to the newly formed National Film Archive only last 2013. UPFI turned their’s over to the Library of the UP College of Mass Communications. There were a lot of older works there. But since even these institutions don’t have access to basic equipment–such as working U-Matic players much else working 8mm or 16mm projectors–we usually got left with whatever crude video transfer was made in the 90s and early 00s that was a transfer of a transfer of transfer, finally making its way to DVD. It was not at all linear. Chasing down certain works meant we were witness to an oral account–both complementary and contradictory–of an all too recent history from friends and friends of friends who thought this or that person had a copy. This meant lots of phone calls, emails, road trips and several hours listening to stories and going through both personal and institutional archives. It’s also amazing how fast something can disappear in just a few years. When Ondoy (Typhoon Ketsana) submerged Manila in 2009, it destroyed a lot of homes. Along with it, a lot of works seemed lost forever. For newer works in video, all it took was a crashed computer or harddrive or damaged DVD. Film works were more resilient, but it took a lot of effort just to find projectors and usually no decent digital transfers were available. So it meant not just tracking down certain works, but the best copies of them or the equipment to view them. You say that this collection only spans the last 30 years but could have been from longer back. Why 30 years? What factors have limited the ability to go even further? eg. political or technological changes? resources? The works from the last 30 years are simply those that we currently have easier access to. We are quite close to the generation of film artists that cut their teeth in the 80s and 90s, especially those that came from Mowelfund. 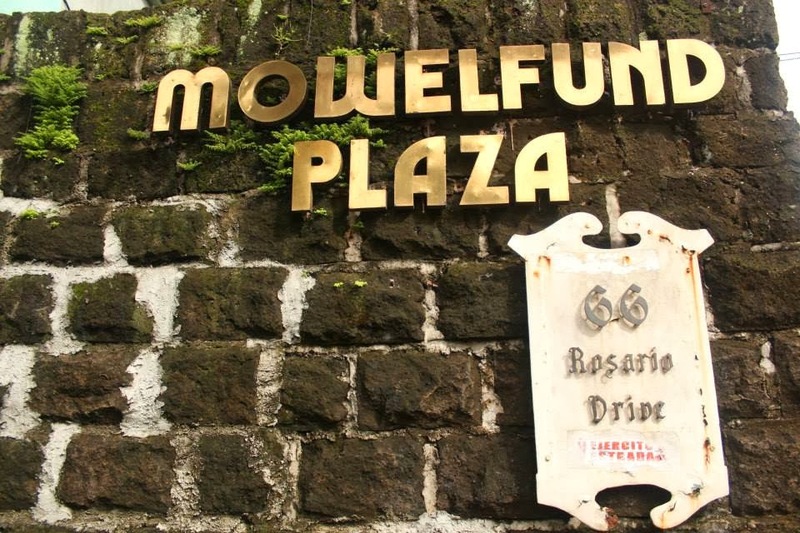 A lot of Filipino filmmakers that have made their mark internationally – Raymond Red, Lav Diaz, Roxlee, Khavn, Brillante Mendoza – had roots in Mowelfund. There are works from the 60s and 70s that we know about but have never seen. A lot of these remain lost. And, unlike the 80s-90s generation whom we occasionally see in screenings and common hangouts, the 60s-70s generation we are hardly in touch with. It’s a curious gap. One of the major hurdles was the lack of a comprehensive history or listing, particularly of experimental works. Also, there’s not one place one can go to to check for works such as these. We only had a National Film Archive effectively as of 2011. The crawling man’s white body makeup and long black hair (wig?) recalls the demon/ghost figures seen in other East Asian cinema. Do these characteristics carry the same sense of supernatural within Filipino folklore/culture? Yes! Curator Teddy Co even thinks the Philippines had a hand in influencing more recent filmic representations of this in East Asian cinema. Hideo Nakata, whom we know for The Ring, did some research in the Philippines and he saw a lot of local horror films when he stayed in Manila. Teddy befriended him at that time, but they’ve lost touch over the years. When Teddy saw The Ring several years ago and noticed the familiar name of its director, there was no doubt to him that his exposure to the Philippines had a hand in shaping this work, especially in the portrayal of Sadako. 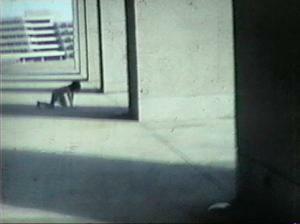 Towards the end of the film there is a large building with which the crawling man spends a significant time interacting. Is this a building that Filipinos would immediately recognize? What is its significance? That’s the Manila Film Center. It opened, to much controversy, to serve as main venue of the First Manila International Film Festival (MIFF) on January 18–29, 1982. It was originally designed to be a one-stop shop for anything film-related, including a film archiving facility. Even UNESCO was consulted in its design. But because of the controversies around it, it was never fully utilized. 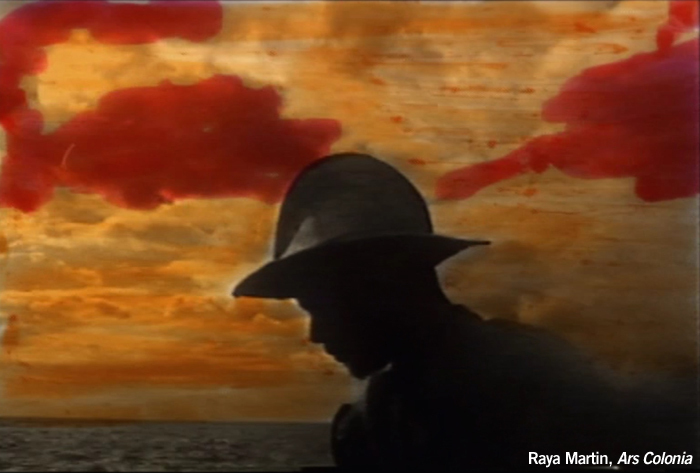 The Philippines only had a National Film Archive, effectively by 2011. To certain generations of Filipinos, this building is quite well-known. It’s the stuff of urban legend. It’s widely claimed to be haunted. Not by the ghosts of cinema, but of the workers who were accidentally entombed into the very structure of the building during a freak accident. The urban legend traces it roots in the construction of the building, which started in early 1981. It had literally just a year to be finished to meet the deadline: the January 1982 opening of MIFF. To do this, it required about 4,000 workers, working in 3 shifts across 24 hours. Because of heavy rains in November 1981, the scaffolding collapsed and 169 workers fell and were buried under quick-drying wet cement. What were the ‘chop-chop lady’ murders? “Chop-chop lady” is more of a local term for a style of dismemberment, rather than a cohesive series of (serial) murders. The term first came about in the late 60s, particularly for the murder of entrepreneur Lucila Lalu in 1967. It’s since been used to describe any murder and dismemberment cases inflicted on women. I’m not aware of any “chop-chop man” cases. In the 90s, the term made headlines with the brutal murder of Elsa Castillo, and the two films that inspired it: The Elsa Castillo Story…Ang Katotohanan was top-billed by Kris Aquino while the second movie, titled Elsa Castillo Story (Chopchop Lady), starred Lorna Tolentino, both came out one after the other in 1994. The convicted killer, American national Stephen Mark Whisenhunt, spent about 19 years in local prison and was deported to the United States in February 2013. The 90s was the “massacre era” of Philippine film and popular culture, and Kris Aquino was the undisputed “massacre queen” and director Carlo Caparas was the ringleader. Gore was in. The chopchop lady was both reference and genre. The suburban Vizconde massacre of 1991 set the tone, and they collaborated in the film that it inspired in 1993, The Vizconde Massacre Story (God Help Us!) After this Caparas came out with several other works around violence against women. A lot of them were based on recent and historical events. Are we seeing newsreel footage on the right-hand side of the screen and a film excerpt on the left-hand side? What are the sources of these moving images, and are they contemporaneous to each other? Not contemporaneous at all. They’re about 20 years apart. The film footage is from The Elsa Castillo Story…Ang Katotohanan (1994), top-billed by Kris Aquino, then First Daughter to then-President Cory Aquino, who is the sister of current President Noynoy Aquino. The newsreel footage documents the December 7, 1972, assassination attempt on the life of then First Lady Imelda Marcos. The assailant, Carlito Dimahilig, tried to stab her to death with a bolo knife during an awards ceremony broadcast live on television. The assailant was shot to death by security police and the wounds on Marcos’ hands and arms required 75 stitches. Critics claimed the assassination attempt was staged, to draw sympathy on the Marcoses. The First Family became quite unpopular after then-President Ferdinand E. Marcos declared Martial Law in the Philippines, just a few months before on September 21, 1972. Although uncredited, the footage might be by veteran news cameraman Egay Navarro.